I wrote, yesterday, about how the fam and I took a little trip to San Diego over the weekend. On our way back home on Sunday, we stopped off at one of my favorite places, the Flower Fields at Carlsbad Ranch. It is the most beautiful sight during the Spring months in Southern California. I only live about 45 minutes from the fields and enjoy coming down each year. The weather couldn't have been better, truly, for it to be 80 and clear at the beach is always a treat. Since it was the weekend, it was super crowded, but totally worth it. An interesting fact about the fields... they do sell the flowers but the main point to growing them is to harvest the seeds. I had no idea until I overheard one of the farmers there telling a child. I thought that was really interesting. Anywho, if you're ever in the San Diego area between March and May, you should really try to stop by and have a look. The views alone are worth it! I would love to visit the ranch! Those flowers look gorgeous! Oh wow, so beautiful! Were you allowed to pick some? Love all the colors! No, we can't pick them but they have flowers available to buy in the shop. And lots of seeds! These photos are gorgeous! This looks like a beautiful place to visit! Those are some gorgeous views! Love it!! Your pictures are stunning! I'd love to visit a place like this and see all the beautiful flowers in real life! I may never want to leave though. So pretty! I will definitely have to add this to my list of places to see! So fun! This is so gorgeous! I just shared my post about our visit to the Tulip Fields that we have here in Oregon, but after seeing your post, I want to visit that flower field too! I could probably visit them all! But the Carlsbad Ranch looks so gorgeous!! I've heard of the Tulip Fields in Oregon and have always wanted to go!! Any flower field would make me happy ha I think a Spring time road trip of flower fields would be so fun!! Wow, just wow! 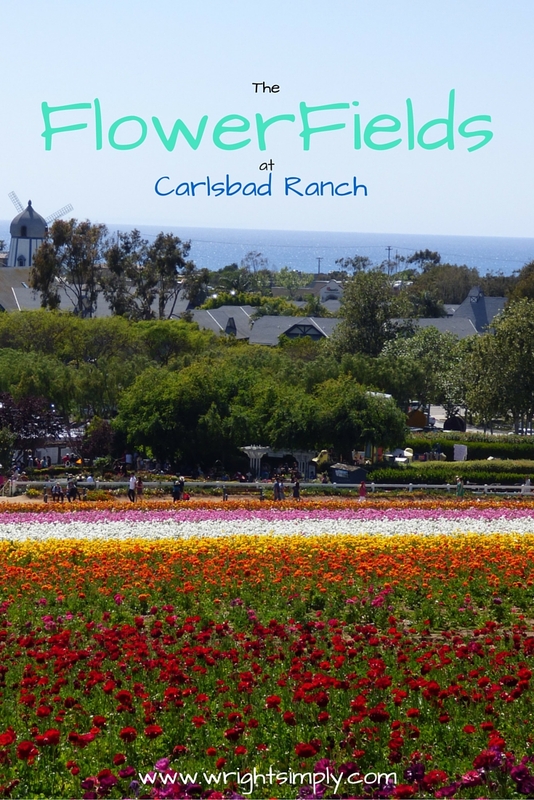 I've always wanted to visit a flower field... they look so gorgeous! Oh my..so lovely indeed...would love to come and visit this place as well..